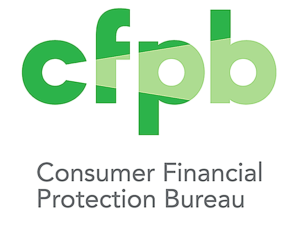 Officials from the Consumer Financial Protection Bureau’s Office of Older Americans reported that less than one percent of all Suspicious Activity Reports (SARs) reviewed by the CFPB from 2013 to 2017 involved reverse mortgage borrowers. A Suspicious Activity Report (SAR) is a document that financial institutions must file with the Financial Crimes Enforcement Network (FinCEN) following a suspected incident of money laundering or fraud. These reports are required under the United States Bank Secrecy Act (BSA) of 1970. The reverse mortgage statistic was provided during a Q&A session by senior policy analysts Naomi Karp and Hector Ortiz. The pair conducted a webinar this week on their recent report – Suspicious Activity Reports on Elder Financial Exploitation: Issues and Trends – which explores SARs filed with the federal government by financial institutions, such as banks and money services businesses (MSBs) that process wire transfers. No further details were provided on these cases. The most common EFE SARS involved “romance scams” where an older person is enticed to wire large sums of money to a person they met online living outside the United States. The victim explains to the MSB that he is sending money to his fiancée, so she can visit him. We invite you to download the presentation slides to learn more. As a reminder, NRMLA offers a free consumer brochure that you can download and distribute to your clients that helps them recognize common scams and signs of financial exploitation. Download copies by clicking on the image below.